At Round the World Experts, we specialise in tailor-made holidays. From bucket list trips to unique experiences, and worldwide itineraries, when you book with us, anything is possible. As travellers ourselves, we know that planning a holiday is both an exciting and overwhelming experience. As a result our experts take the time to get to know exactly what you want from your travel, in order to deliver the best service and experience possible. Our people are not only incredibly passionate, but are experts in their field. By travelling regularly and extensively, we’re able to refine our knowledge of the world’s best destinations, and offer the most up-to-date information and advice. A holiday created by Round the World Experts is more than just your average flight and accommodation package. Our tailor-made holidays are designed to ensure you enjoy the exact holiday you want, at the right price. In order to help you make the most of your destination, we have listed a great range of holiday itineraries on our website that have been designed and experienced by our Experts. From wine tasting in Australia to safaris in Africa and road trips across the USA, many of these holidays include hand-picked experiences that are unique to that destination, as well as flights, accommodation and transport. While we have plenty of itinerary ideas to offer, our strength lies in our ability to tailor travel to suit your interests and budget. Whether you want to simply tweak an already existing holiday to feature a specific hotel or stopover, or you have your own dream itinerary in mind, at Round the World Experts we can make it happen. Our tailor-making skills don’t just apply to accommodation or stopovers either. Whether by plane, train or automobile, sail boat, bicycle or balloon ride, we can arrange every aspect of your holiday from start to finish. 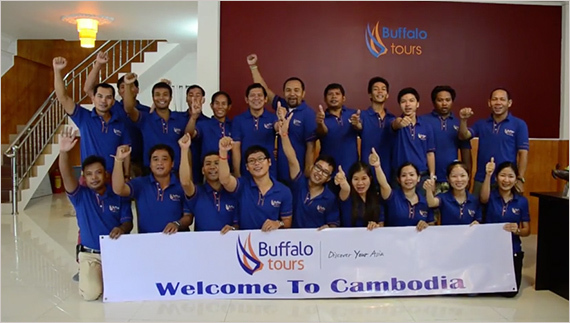 As Round the World Experts, our team don't pretend be experts in every destination in the world. Instead our team is broken up into destination specialist so when you're talking to an Australia Expert about planning a trip to Australia, you'll find that they've visited multiple times and maybe even lived there. With this expertise, we'll not only tell you about the best ways to see a place, but also be able to offer you personal recommendations based on our own travels. With our global network we'll also communite with our people on the ground who will pick you up from the airport or manage your indestination activities. From the first time you call, all the way to when you arrive home from your trip, your Expert will be on hand to help at every step. On the occasion that we're on holidays (we tend to travel too! ), our Travel Butler service will ensure someone from our team will always be available to you, along with our 24/7 Emergency Assist service.